Budapest is a city that is full of surprises. Here, no two nights spent on the town and visiting the exuberant bars and taverns will result in similar experiences, though both will surely be unique, wild and impossible to forget. Something that one might not have expected to encounter in this classical and traditional jewel of Central Europe is mud wrestling. But then again, the uninitiated may be surprised by the notion of cycling and drinking beer at the same time, yet the Beer Bike of Budapest has become something of an institution in Hungary’s beloved capital. Can mud wrestling really be a thing in Budapest? And why would anyone want to do that in the middle of a modern European city? Yes, it is a thing and Mud Wrestling Budapest is open and ready to enthral the curious and fun-loving visitors to the city and introduce the ones with no previous experience to the sport. As to why – well, why not? Urban capitals are perhaps the places where people really need to let off some steam and return to the wild. 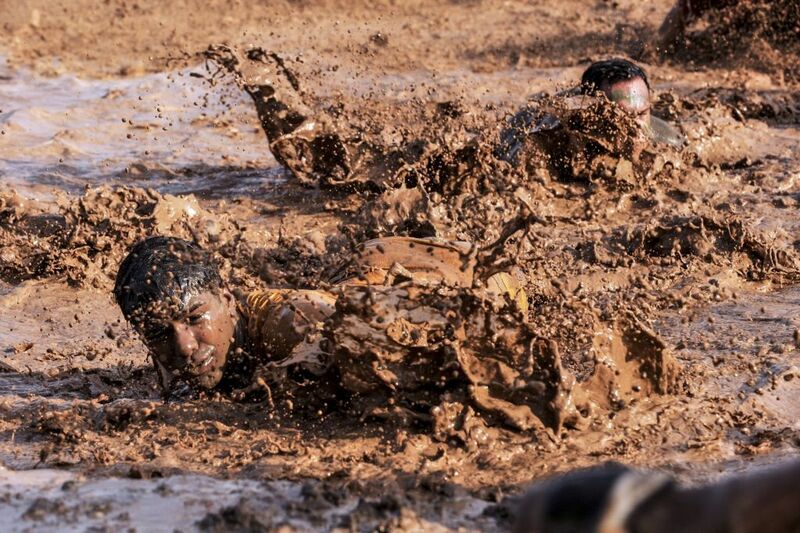 And what better way to do that than with mud wrestling, a silly and enjoyable escapade that allows us to escape from the toils of modern life and engage in an activity that is fun, pure and simple. So how does it work? And how muddy will we get? It’s simple! All you need to do is book your places at Mud Wrestling Budapest and look forward to the show! And you don’t need to worry about getting mud on your finest garments, as this is a spectator sport, so you can just sit back and enjoy a beer while two stunning Hungarian beauties get down and dirty and fight it out for your pleasure. It’s a much easier way to enjoy mud wrestling, and it’s a great way to begin a night in Budapest. If you’re looking for something to prepare you for your first mud wrestling adventure, then why not try out some beerbiking on Budapest’s favourite beer bike? A night that starts in this way cannot fail to be sensational, and who knows where it will end?